RAPHAEL (named after the Archangel of healing and my youngest son) is a slightly spicy-citrusy, uplifting blend of organic essential oils that offer protection and relief from colds, coughs, sinus congestion and airborne germs. Diffusing this blend when guests are over will create a warm, festive environment AND protect everyone’s health. At home, we diffuse RAPHAEL at the first sign of a cold or cough. RAPHAEL (named after the Archangel of healing and my youngest son) is a spicy, uplifting blend of organic essential oils that offer protection and relief from colds, coughs, sinus congestion and airborne germs. RAPHAEL is made from the following essential oils: Clove (antiseptic, warming, anesthetic), Sweet Orange (immune boosting, invigorating, detoxifying, warm and balancing), Cinnamon (immune boosting, anti inflammatory, antiseptic, helps with nausea), Eucalyptus (mental relief, anti inflammatory, anti septic) and Rosemary (mental clarity, anti anxiety, cures headaches, immune boosting). 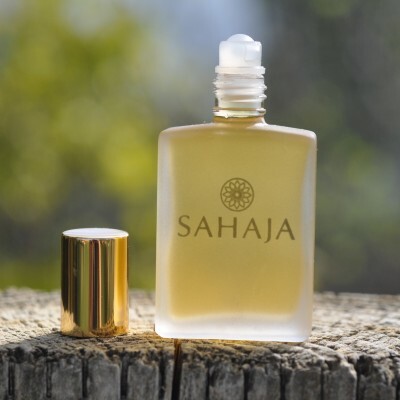 Each bottle of organic & wild-crafted Essential Oil Wellness Blend is a balanced melange of the highest quality essential oils formulated to be divinely fragrant and support wellness. 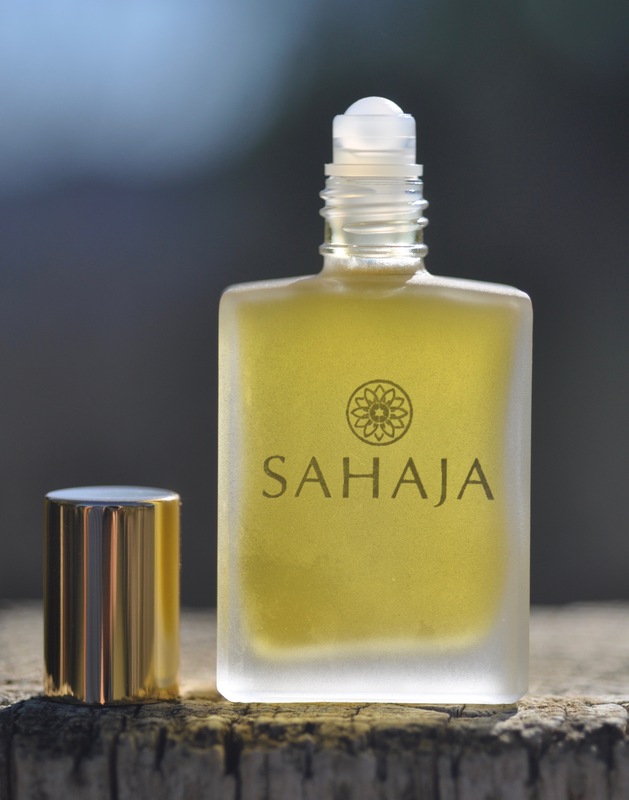 All bottles are 15 ml and have a roll-on top which is covered by a gold-colored lined cap. RAPHAEL was created for use in a diffuser. It is shipped with the roll-on top to prevent spillage during travel, but once it arrives you can pop off the roll-on top and insert the orifice reducer which will allow you to easily pour 5-7 drops into your diffuser. If you do not already have a diffuser, check out our beautiful ultrasonic Diffusers. 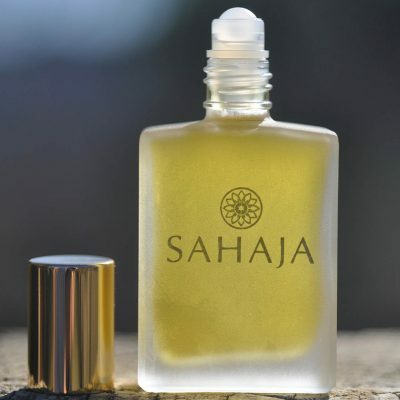 Directions for Using RAPHAEL In An Essential Oil Diffuser: Lift off RAPHAEL’s roll-on top and insert the orifice reducer that comes with every bottle of Sahaja Essential Oil Wellness Blend and Essential Oil Singles. Push down on the orifice reducer until it fits snugly into the bottle. Add 5-7 drops of HYDRA to your diffuser. The healing benefits of RAPHAEL’S blend of oils will waft through the air. Breathe in the anti-viral, respiratory supporting micro-particles and enjoy the uplifting, orange-clove fragrance. How lucky to be able to boost your immune system with beauty. Raphael is intoxicating. 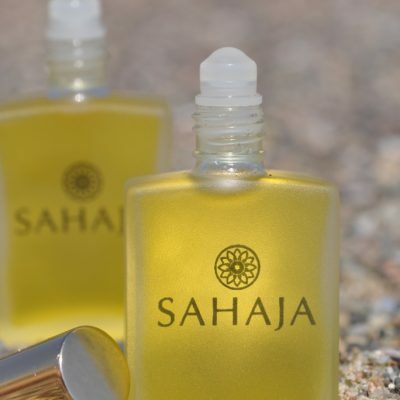 Sahaja has created a truly exceptional blend.